As of the 2016-2017 school year, North Springs will be one of the high schools participating in Fulton County’s technology initiative. North Springs students will receive a Microsoft Surface 3 from the school, which will be used to augment learning in the classroom and help connect students to their education. 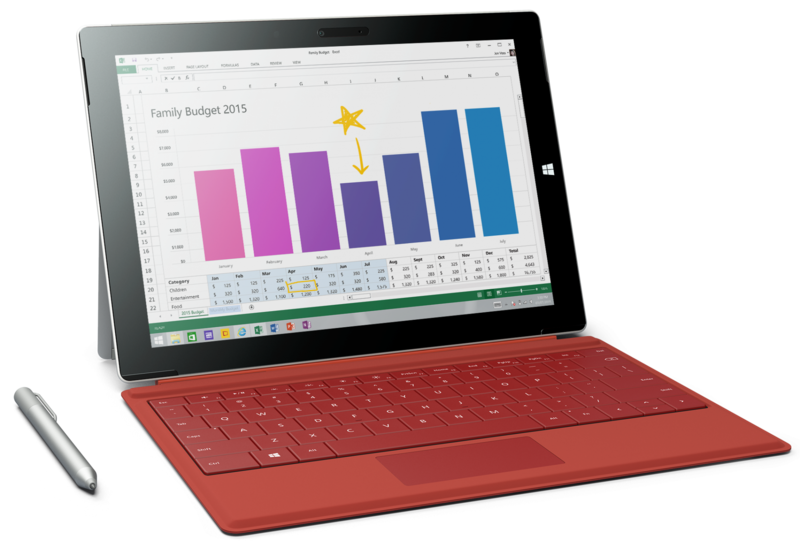 The Surface 3, the third iteration of Microsoft’s non-pro tablet lineup, boasts a 12 inch touchscreen, an 8 megapixel camera, and a theoretical battery life of 10 hours. The Surface will also come with its keyboard. There are several other popular educational devices on the market, including Apple’s iPad or the Google Chromebook. However, there are several reasons why Fulton County decided to use the Surface out of these. The iPad has the largest capability in terms of applications with its vast array of selections in the App Store while Chromebooks often run unstable web applications, and the apps in the Microsoft Store on the Surface are far less numerous and applicable to learning. However, the Surface is able to run an almost complete desktop operating system in the form of Windows. This means it can run widespread desktop versions of popular educational tools such as Microsoft Office and Adobe Suite. OneNote can be used to take notes in classes. English students can write papers with Microsoft Word and read ebooks through Kindle. Computer Science students will be able to use Eclipse for Java coding. Media classes can even utilize the power of the Adobe suite of applications to create content. Sallie Holloway, who heads the Surface program at North Springs, described the motives for implementing this type of program. She explained how all schools in Fulton County are striving to give students more personalized learning, where students can collaborate more on their education and learn real world skills like problem solving and critical thinking. Holloway said, “The students at North Springs right now are part of the first ‘digital native’ generation, why not put that technical knowledge to use in educational tools.” She went on to elaborate why the current system of using computer labs and phones as tech tools is insufficient as this is often unreliable. Having the same technology in every student’s hands will bring down many of these obstacles. The addition of these devices to the school will bring about many interesting changes, both good and bad. Some students may be distracted and gain less from their classes. Many, however, will gain access to new tools and a great education. Students will be expected to keep their devices undamaged and charged every day. The tablets will be distributed during the beginning of the 2016-17 school year.